The official convention bureaus for London and Paris have announced today a new partnership which will see the two cities working together for the first time to deliver a unique two-in-one incentive trip. The landmark agreement between the London Convention Bureau and the Paris Convention and Visitors Bureau will see two of the world’s most iconic cities join forces to offer a new range of exciting incentive travel products, aimed at inspiring North American incentive buyers to book a 2-in-1 trip for their clients. A variety of specialised itineraries have been created and will allow delegates to take in the very best new cultural attractions, hotels, restaurants and “money-can’t-buy” experiences across both London and Paris. The itineraries have been curated to showcase how easy it is to enjoy both cities in one amazing incentive trip and includes an official partnership with Eurostar for an effortless journey from city-centre to city-centre in just over 2-hours. 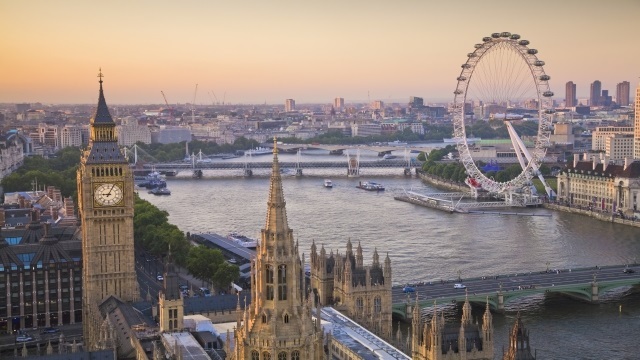 London and Paris are two of the world’s most visited cities, with latest data revealing the combined number of top of the range restaurants, world class museums, cultural attractions, parks and hotels, that could all be part of 2-in-1 incentive trip. • Live like a Rock Star (London): Feel like rock stars during a stay at the Hard Rock Hotel London (opening April 2019) - exclusive Rock Royalty rooms, rock’n’roll cocktails, and Fender guitars complete the experience. • Jo&Joe Paris-Gentilly (Paris): your attendees can be the first to try out new concept hotel, Jo&Joe Paris-Gentilly (opening April 2019). This trendy spot features a laid-back atmosphere, communal spaces, and a gorgeous garden for guests. • Tottenham Hotspur Stadium (London): The sports-mad among your group will love to tour Tottenham Hotspur Stadium, the new home of Premier League soccer giants nicknamed “Spurs” – the stadium is hosting two NFL London Games in 2019. • Run with an Olympian in Regent’s Park (London): Treat your delegates to a once-in-a-lifetime run through Regent’s Park with an Olympian. Jog around the gorgeous grounds of the Royal Park and enjoy a series of smoothie stops along the way. • Sunset Cruise down the River Seine (Paris): Cruise down the river as the sun begins to set onboard Ducasse sur Seine – the first 100% electric boat in Paris. A private salon is available for hire, offering an exclusive dinner and breathtaking views of the Eiffel Tower. • Borough Market personalised chef tour (London): Head over to Borough Market for a personalized tour with the Shangri-La Hotel’s executive chef. From street food to artisan chocolate, this sustainability-focused market offers some of the tastiest dishes in London. • Spa trip and behind the scenes tour of Palace of Versailles (Paris): You can also couple exclusive access at Spa Guerlain in the Waldorf Astoria Trianon Palace - Versailles with a behind-the-scenes tour of the magnificent Palace of Versailles. • Exclusive tour with a Beefeater at Tower of London (London): Get a behind-the-scenes look around the Tower of London with a Yeoman Warder, otherwise known as Beefeaters, on an exclusive Secrets of the Tower tour. If you’re exploring at night, see the crown jewels sparkle on an after-hours visit, followed by dinner in the White Tower. • VIP Parisian shopping experience (Paris): Check out the latest Parisian fashion during a private VIP shopping experience at iconic department store, Le BHV Marais. Or, head over to Avenue Montaigne to hunt down designer brands and luxury labels, from Chanel and Prada to Louis Vuitton. Fashion fans can also explore the Musée Yves St Laurent Museum Paris on a group visit. • Wine tasting in the Crypt at Fortnum & Mason (London): Head to luxurious Fortnum & Mason – grocer to the Queen – for an intimate wine-tasting experience in the atmospheric Crypt, which is only available for small private bookings. • Guided tours at the Louvre (Paris): France’s most-treasured attractions: the Louvre. Incentive planners can book a guided tour for attendees to discover the museum’s vast collection of artworks and must-see gems, including the Mona Lisa and Venus de Milo.